Q: Which type of school is paid even when the pupils leave or are never enrolled? Note – State schools are funded per pupil – lose the pupil, lose the funding. Q: Which type of school is given money to set up and can spend it on buildings and/or land and then, if it closes, can keep the land and/or buildings? Note – State schools never own their buildings, and so do not and cannot walk off with millions of your tax payers’ dollars. Tell me again what great value for money these schools are….? NZEI Te Riu Roa says concerns around the potential of new charter schools being extended to babies and pre-schoolers show that the government needs to come clean about the full extent of its plans for the education sector before the election. NZEI President Judith Nowotarski said extending the charter school experiment to babies signalled a radical escalation of the privately-owned and taxpayer-funded schools that were supposedly a “trial” when the first five schools opened this year. “How far and how quickly is the government planning to bring the private sector into the running of our schools? And how long will they continue to fund these charter schools at a far higher rate than public schools? Voters have a right to know before the election,” she said. A preference for charter school models catering to 0-8-year-olds was one of six preferences listed for second round applicants, with successful applicants expected to be announced in the coming weeks. Ms Nowotarski said since charter schools were outcomes-based, the threat of toddlers being tested and measured against each other was very real. Ms Nowotarski said most parents would be appalled at the thought of targets and measures being applied to their very young children. 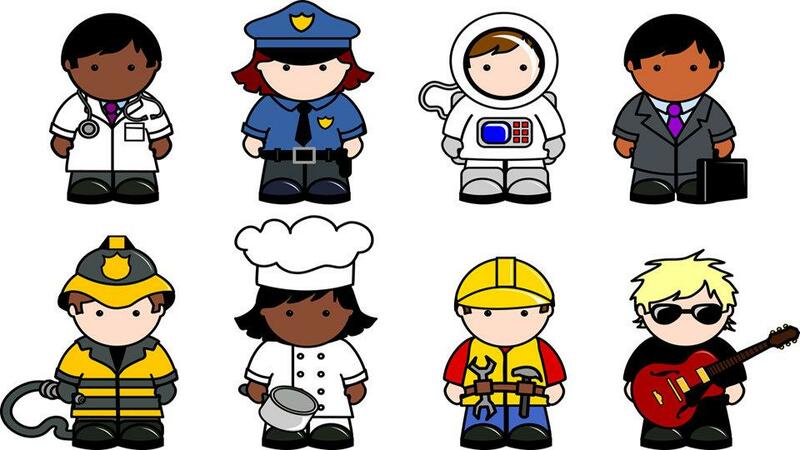 “Children learn in different ways at their own individual pace. National standards for primary school students is bad enough, but the thought of applying a similar measure to toddlers and labelling their natural development is just appalling,” she said. Questions were raised in Parliament this week about whether the extra government funding that babies and pre-schoolers attract could instead be diverted to run the rest of the school or boost owners’ profits. Opposition parties also raised the mixed results of charter schools so far and the risk that taxpayer-funded assets may be lost if a school closes. Next time someone tells you charter schools are about choice and that privatising the education system is a good move, you might want to point them to the other sides of the story. Look at the job the power companies have done – Privatisation is not necessarily better for the consumer. And in this case, the consumers are our children – the next generation. “The Swedish school system is often cited by Michael Gove as a model of best practice. However, like America its experiment with for-profit education has had disastrous consequences. In May, JB Education, one of the largest for-profit education providers in the country went bust leaving the future of 10,000 pupils in limbo. “Despite consuming billions every year in taxpayer-funded student loans for-profit universities have a terrible record of success. Only one in five students graduate, and students at for-profit colleges are much more likely to default on their loans. This is partly a result of their recruitment practices, with for-profit colleges often targeting people (including the homeless) who simply do not have the financial resources to pay loans back. The US’ experience of allowing for-profit companies to run schools (often described as the CharterSchool movement) has also been mired in controversy. “Charter schools are leading us to having a dual school system again. We’re going back to the period before Brown v. Board of Education, but the differentiation in the future will be based on class instead of race. 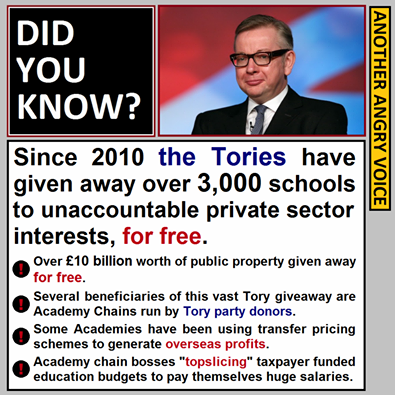 “[The Agency] needs to do more to address potential conflicts of interest in academies. Be very clear that what is happening in New Zealand is part of the global education reform movement (GERM) and is not isolated. Worldwide, education systems are being broken up and handed over to businesses so that your taxes can go into private hands. Education does not improve, Students do not fare better. A fragmented, secretive, and privatised system is not the best way. This English school has been forcibly turned into an academy. A charter school by another name. “When they took over we had promises of support, ‘bespoke’ training, nurturing of the staff that know the school, children, area the best. Of course none of it happened. We’ve had empty promises, backhanded threats and insults, dubious observations – the lot. I’d only been there just over 3 years but left as the stress and understandable negativity around all the uncertainty and upset was just too much – after almost 20 years, it’s made me want to get out of teaching. Ten years ago this would have been unthinkable in England, just like it is for most people right now in New Zealand. But it’s happening there, and parent’s and teachers’ concerns are ignored. 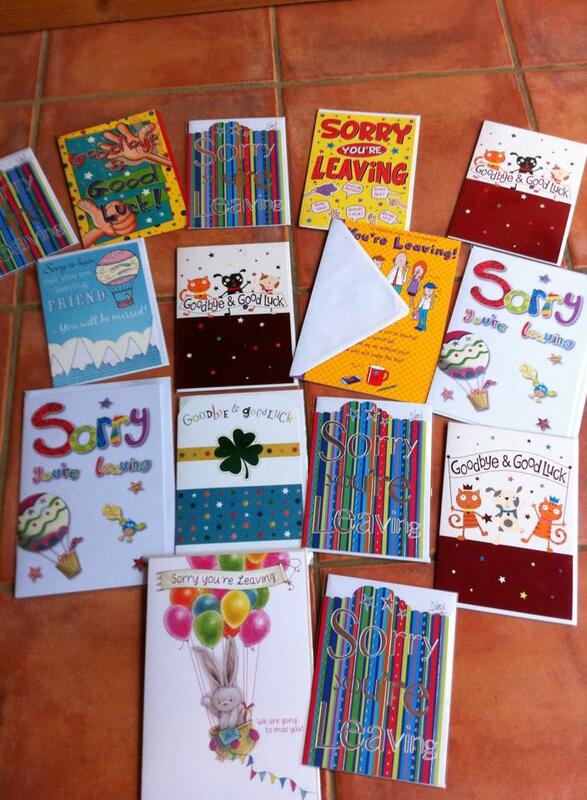 The pile of leaving cards from the school. … to follow in the footsteps of England and start forcibly taking over public schools and handing them over to charter schools. Still think they’re a good idea? A recent poll has found that two-thirds of New Zealanders are concerned at the amount of taxpayer money that is being diverted into charter schools. Yet despite this, NZEI Te Riu Roa Immediate Past President Ian Leckie says the government is clearly committed to this expensive ideologically-driven experiment. 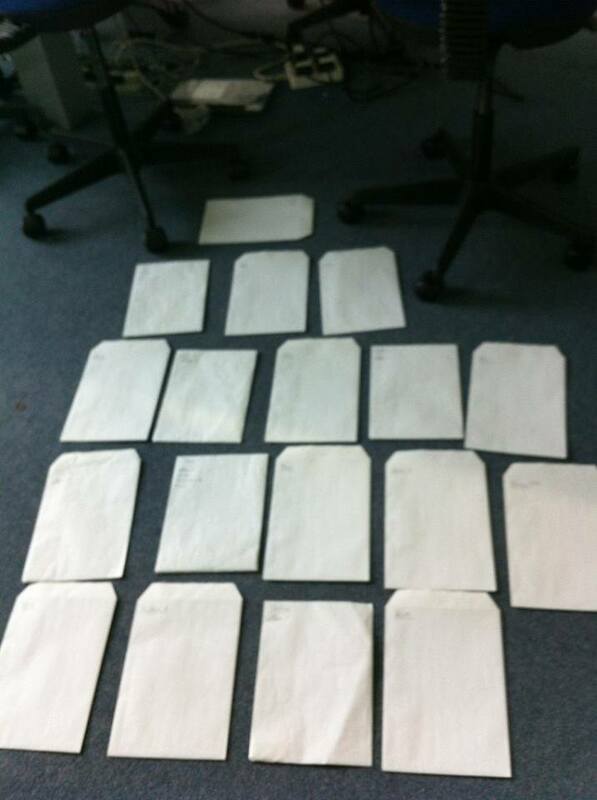 Yesterday the Ministry of Education released the names of 19 new applicants hoping to set up charter schools next year. The list includes a number who failed in their bid for funding last year. 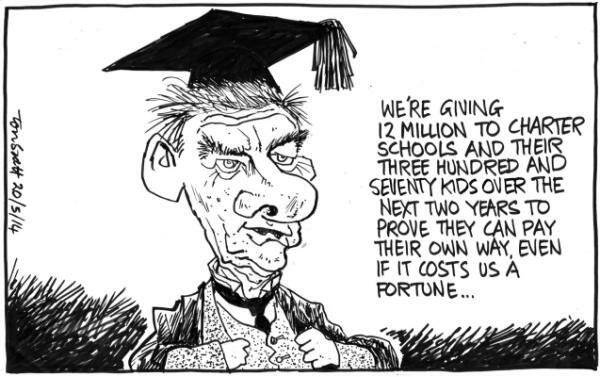 Ian Leckie says time and again the government has been told that New Zealanders want to retain a quality public education system and do not want education funds diverted into propping up costly charter schools. He says a recent NZEI survey found that 63 percent ranked the diversion of taxpayer money to charter schools as either a “top concern in education” or were “somewhat concerned”. The government has set aside more than $12m over two years to support charter schools – money that is not being used to support quality public education. 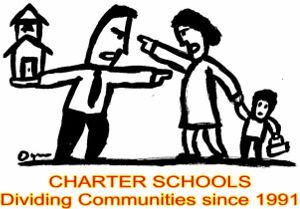 Currently there are five charter schools operating with a total of just 367 children. “This is an incredibly high per-head cost compared to the amount of funding the government pays for students in the public sector. So far the five charter schools operating receive an operational payment per student of between $11,500 and $40,300 compared to an average of around $5,800 at lower decile public schools. – and the money was shuffled from other areas of education, so others lose out. NZ’s charter schools are proving to be small and expensive, according to figures obtained under the Official Information Act. The 1 March roll returns confirm a total of only 367 students were enrolled in the first five charter schools, which makes this an expensive experiment”, says QPEC Chairperson Bill Courtney. Over $6 million has been paid out to the sponsors of these schools in one-off, non-recoverable Establishment Payments. In addition, the regular Operational funding is proving to be higher than local State schools in the same area. If the purpose of charter schools was to create alternatives in places such as South Auckland, then the funding comparisons need to be fair. * The Whangaruru school also received part of its operational property funding in advance to assist with property development. So, to date, the Ministry of Education has paid a total of $6.28 million in one-off Establishment Payments to the Sponsors of the schools. Costs have also been incurred, no doubt, inside the Ministry to assist the schools to open. Based on the 1 March roll returns, two schools have opened at or above the contractual Guaranteed Minimum Roll for 2014 while three are below. A significant proportion of the Operational funding for each school comprises Base Funding and allowances for Property and Insurance, to ensure the schools are viable. These figures are based on the Maximum Roll for each school, i.e. what is estimated as necessary to fund the schools as they grow towards their target roll. The “Per Student” and the “Centrally Funded” components of the Operational Payment are based initially on the Guaranteed Minimum Roll and will vary in future as the school roll changes. The following breakdown of the annual Operational Payment for 2014 paid to each school has been obtained from the Ministry of Education under the Official Information Act. Comparisons between the funding model for charter schools and the funding for State schools are not straightforward. Differences arise in how several of the component parts of the funding model are treated. Charter schools receive all of their funding through a “cashed up” approach, where every component is paid in cash direct to the Sponsor on a quarterly basis. State schools receive their funding in various ways, with only the Operations Grant paid directly to the school as a cash sum. In addition, each State school receives a Teaching Entitlement, based on its size and roll. Boards of Trustees employ the principals and teachers, who are paid through the centrally operated payroll system but with their costs charged back against the Board’s accounts. Funding for property maintenance is paid in cash through the Operations Grant but funding for property development and capital works is funded centrally through an allocation set every 5 years for each school. It is possible to make a direct comparison between one of the charter schools, The Rise Up Academy, and local state schools. Rise Up is a Year 1 to 6 primary school located in Mangere and its funding can be compared to the other local state primary schools in the Mangere/Otahuhu area. The following table shows the detailed information shown for each school on the Education Counts website, under the information tab “Find A School”. This table does not include capital property funding or the access that State schools would have had to Centrally Funded services, such as Resource Teachers. But it must also be noted that State school property expenditure will be on assets that the Crown owns and retains after development. Boards of Trustees have significant influence over how this property development takes place at their school, but in the end, the asset is on the Crown balance sheet and not that of the Board of Trustees. Teachers don’t often switch off. A good friend refers to holidays as “non-contact” time. And given our government’s habit of pushing through major education legislation during the holidays, you start to feel like those kids in Jurassic Park, sheltering and hyper-aware of every movement as the velociraptors keep testing for gaps in the perimeter. Saturday’s the one morning I do try to disengage the teacher brain and enjoy a meander round our local farmers’ market with my mum. But this weekend, the Act party were on the “community group” stall – including the Epsom candidate, David Seymour, who assisted John Banks with the drafting of Act’s charter schools policy. I’ve read and archived more than 500 articles and op-eds on the decimation of American public schooling in favour of charter schools; that virtual pinboard records the same cynical treatment of state schools in the UK – and now here. It fills me with a cold anger that this is being done to students, teachers and schools. Community as a concept is avidly being unpicked. And schools are some of the nicest communities I’ve ever experienced, held together by a lot of personal sacrifice. Targeting them seems like the educational equivalent of harp-seal clubbing. So this was a chance to talk to the people who are doing things to education – and fair play, Seymour was fronting up in public. Some other politicians who are neck-deep in this aren’t very good at that. The charter schools pilot makes me want to grab a paper bag and breathe into it vigorously. Part of my job is to promote scientific thinking in children. It’s the simplest of bottom lines: you keep all variables but the one you’re examining the same for it to be a fair test. Charter school students were receiving more funding per head than public school students, and class sizes were 12-15 compared to 28+ in public schools. So that was one of the questions I put to Mr Seymour – how can this test be called “fair”? The information on funding is “untrue” and class sizes “will grow,” he said. But, I said, that’s not what some charter schools are advertising on radio. Apparently I’m a ‘conspiracy theorist’ for believing that charter schools are the beginning of privatisation by stealth, no matter how much evidence there is for it in America and the United Kingdom. But you heard it here first, and I asked if I could quote him on it: schools will not be forcibly privatised against the wishes of their communities, as is happening in Britain. I look forward to following that up. I asked him about the effect of competition on the thing that makes good education: sharing of knowledge and resources. He hadn’t heard of the charter school in New York visited by a New Zealand teacher, where all doors, windows and cupboards are locked – not because it’s a dangerous neighbourhood, but because teachers are worried about others “stealing” their ideas. Seymour challenged me on what I would do with a middle school like the one he attended, where children were apparently allowed to run around and do whatever they liked. (Aren’t there mechanisms in place already? Commissioners?) He also asked if I had visited any of the charter schools myself – the people behind them were all good people, doing good things. I asked him if he’d visited any of the schools in the area where I work to see the good things they were doing, too. Seymour was lukewarm on the idea of National Standards – shock! common ground? – but it’s because they run counter to Act’s ideas of “freedom” from government control. It was my first real-life encounter with someone who believes so fervently in decentralisation, and it was a strange feeling. Like standing on opposite sides of a Wile E Coyote canyon and trying to make ourselves understood. If it really was just about choice, and getting the best deal for our kids, and the public system wasn’t steadily being undermined at the same time, maybe I wouldn’t be so angry. Funny how a day can pan out, however. Later at the Quality Public Education Coalition forum, chairman Bill Courtney caused heads to swivel when he greeted Alwyn Poole in the audience before giving an update on charter schools. Poole is the principal of Mt Hobson Middle School. He’s also a member of the Villa Education Trust, whose South Auckland Middle School is one of the first in the charter schools pilot. What a magnificent thing it was to be able to ask questions openly of someone involved in this, and to receive frank answers. (At last!) And to know that this person has extensive experience in education (and multiple teaching qualifications). Courtney’s talk used South Auckland Middle School’s figures to explain how funding has been allocated. He also made the point that the charter school model has been hijacked by the privatisation movement. One of the first proponents of the idea, Albert Shanker, saw it as a way to allow teachers greater autonomy, to engage the students who weren’t being served by normal schools. This sounds like what Poole’s schools have been able to do: Poole said he works with children with needs like dyslexia or Asperger’s, or kids who need a “boost” at middle school level. He was asked why couldn’t he achieve it within the system as a special character school. In 2002, that option was “blocked”. They were looking for “ways of expanding what we do”, so applied for the partnership school option. The school doesn’t carry the same infrastructure as state schools, principals do admin and teach, and they have “a nice lease agreement”. They also have qualified teachers and teach to the New Zealand Curriculum. Poole was also asked if some of the biggest barriers to learning faced by many schools in Manukau, such as transience, were problems for his school. Transience, less so, but they have had a small degree of truancy (10 hours), and two students had a conflict and left during the school day. 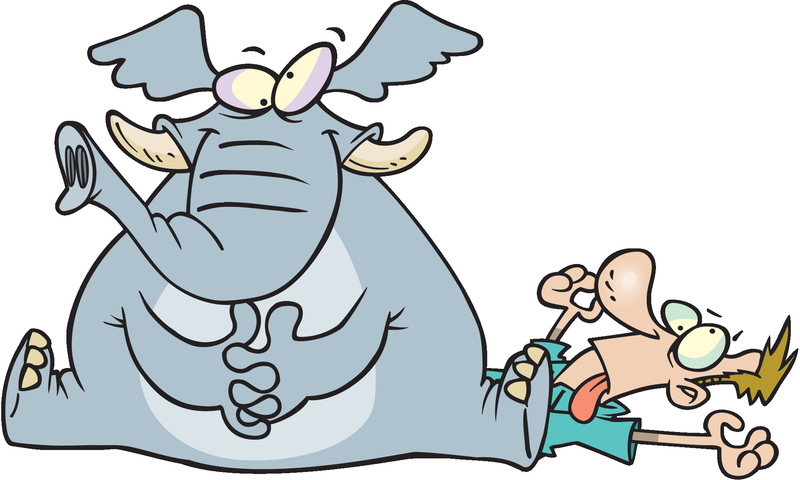 Class size, and the basic mathematics of time for giving one-to-one support, seems to me to be the elephant in the educational tent. It’s splitting it at the seams as most politicians studiously try to avoid treading in its dung. Unlike many politicians, Poole openly acknowledges that their 1:15 ratio is part of their success in helping students. Why not campaign for the same ratio for state schools? an audience member asked. Poole said that they’ve also applied to the Ministry for funding to evaluate their model with the help of the University of Florida. I went up to him afterwards to say thank you, and realised he must have seen some of my trail of articles on charters on the SOSNZ Facebook page (eek). We touched on something that came up when he spoke to us: dyslexia. When I was a BT, I had a fantastic student who was also dyslexic. I also had a fairly big class and very basic training in how best to support him, but fortunately, he had a proactive mum who could share her knowledge. I still collect resources now based on what I wish I could have done for him. Poole started to talk about the things they do, and there was that moment, that neat spark you get when you meet another teacher who might have the solution for the child that you want to help, who will no doubt share it with you, because that’s what we’re both here for, after all. And that’s what I find hardest to accept: we have educators being pitted against educators in this. Experience, training and knowledge is being dissed. When stuff like this is happening, the problem is now having faith that the current Ministry of Education is “getting out of bed every morning”, as Courtney put it, with their main aim being to guarantee every child a quality education. But as Courtney notes, there is no official, publicly available ‘Isaac Report’ to enlighten us on the findings of Catherine Isaac’s working party. There is no attempt to be scientific and explain how the government intends to evaluate the pilot schools, and the concept. Instead there’s a second round of schools funded before any meaningful data has been generated by the first. 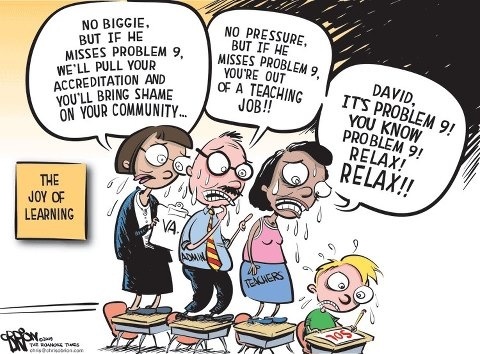 There’s not a recognition that public schools overseas are still managing to deliver results, even though they’re being treated like the Black Knight in Monty Python, battling on and squirting blood as another limb gets lopped off. I got a lot of answers on Saturday. Now I have a new question. 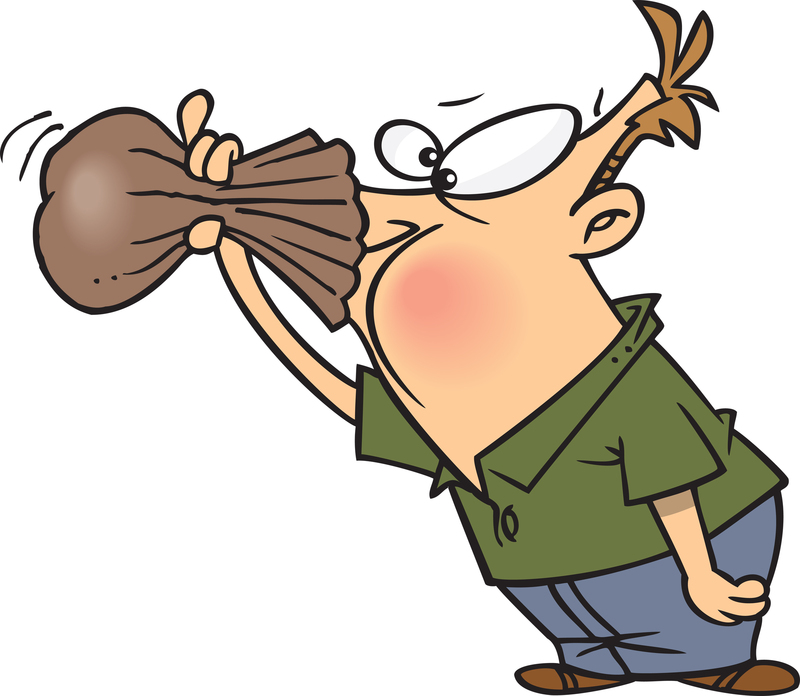 Will all educators – partnership school and state – be willing to dare to do what annoyed Tau Henare so much about the Problem Gambling Foundation: stand together to “bag the hand that feeds them” and oppose the secretive development of policy that serves ideology – not kids? 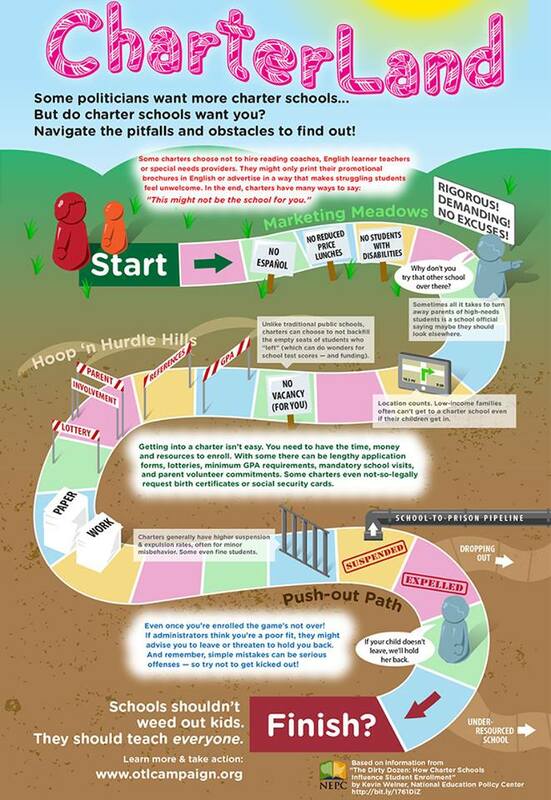 This explains what government policies are doing to public education in Aotearoa. It outlines the huge and fundamental shifts being put in place and what the oppositions are. It is a must-watch. Our public school system is being set up for privatisation and a hugely competitive model. This push is being made via many measures, such as the proposed new lead teacher roles, charter schools, National Standards, performance pay, value-added models for funding, getting rid of the Teachers’ Council and replacing it with EDUCANZ, and so on. 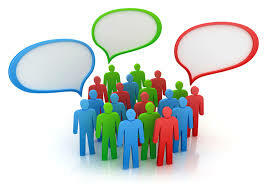 Any suggestion that there is to be consultation with the education sector is misdirection. The parameters are set, people on panels and committees are hand-picked to push them through, and teachers and parents have little to no voice at all. Who should watch this video? It’s a must-watch for all teachers, principals, and support staff. If you missed your Paid Union Meeting (PUM) or left it unclear or confused, then this is essential viewing. Anyone still out there that thinks there is not much going on in education at the moment, you owe it to yourself to watch, probably more than once. You might also want to show it at school in a staff or union meeting, for discussion. Parents, you may want to watch to help you formulate a list of questions to ask. Be clear that the shifts being put in place are huge and fundamentally change our education system, especially for primary school students. No more the holistic approach – all that matters are standards, benchmarks and tests. And for many, profit. If you are unclear just how drastic this is, look to the USA and England just as two examples of what is happening. You owe it to our children and yourself to understand what is going on and to start asking questions. There are thousands more. Just Google ‘global education reform’ or ‘GERM’ or ‘privatisation of public schools’ and read away. The dementor is in full swing, fairly skipping up the path of global education reform (GERM) throwing rose petals and blank cheques in her path, just behind her good pals George Bush, Michael Gove, Arne Duncan, Tony Blair and the other GERMers determined to leave our kids’ education to the whims of the market place. Ooh I bet they are having one heck of a party! Good job, too. I’m so very glad they are selling it all off. Schools schmools. I mean, the free market has worked so very well in all other aspects of our lives, hasn’t it, with reasonable power prices, good telecoms services, stable housing market, no Wall Street crashes that rock the entire world markets. Oh wait. 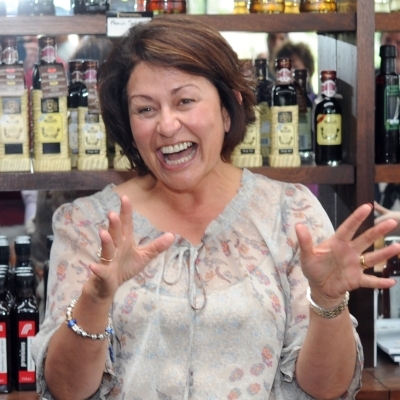 I’m making a Hekia style faux pas here, aren’t I? A blunder, if you will. Because privatisation does not necessarily improve services. In fact it can make them worse. And more costly. Much more costly. Which is all a bit of a concern for me, because I like to know my tax dollars are being stent wisely, not just ferreted off into a poorly performing private sector company that doesn’t match what the public sector was doing in the first place. In fact public schools beat private ones hands down, despite having to cater for all students of all abilities, backgrounds, behaviours, and so on. Wow. 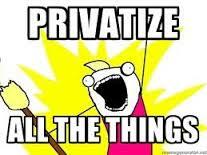 Maybe we shouldn’t privatise all the things after all. 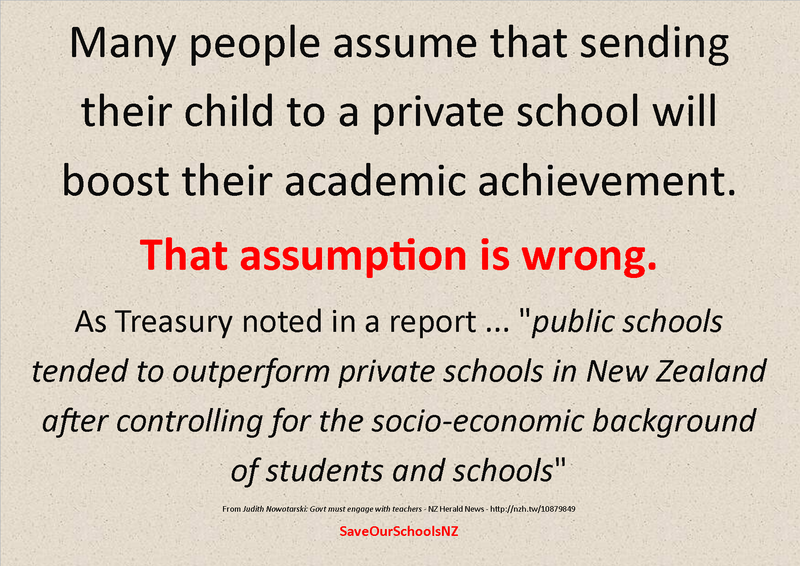 “As I’ve been saying for several years, National’s education policies have nothing to do with education, regardless of their spin about ‘raising achievement’ for all. This will come as no surprise to ‘thinking’ people but man, there are many out there who are still unable to open their eyes to the reality. This includes far too many principals who damn well should know better. Okay, I’m back. So … maybe…. mayyyyybe…. just a thought, but maybe there are lots of folk out there that want to support and improve our public schools rather than cripple them and sell them off? Like, off the top of my head, all those parents whose children will be at the mercy of this shackled and broken system, taught by a demoralised profession forced to focus only on test scores in maths and English. And maybe the old who, when those kids are grown up, have to live in a world now run by them, at the mercy of the economy they create with their great test-taking skills (and high depression rate). Maybe they’d prefer well-rounded and well-educated people in charge instead? And, hey here’s a thought – maybe the students themselves would like to be considered more than the sum of their numeracy and literacy. Because, y’know, there could also be artists and dentists and musicians and physicists and counsellors and gardeners and dancers and doctors and hairdressers and chefs and inventors and, well to be honest, every single person in every single job and in every part of their lives needs more than to just be good at reading, writing and maths. Those things are great – essential – but they are not everything. So, I think maybe I will stick with supporting public schools to remain just that – public. “Since the current National government slipped through a policy on charter schools as part of their deal with John Banks and the ACT Party, the education system in New Zealand has started to resemble a chaotic mess. This chaotic mess was started not to benefit New Zealand children but to open the education system up to wholesale privatisation. It has nothing to do with education children or improving standards or anything of that nature. These current education policies are drawn directly from Neoliberal Education Policy 101. They are utterly ideological and utterly doomed. A brilliant letter to the editor by Boonman. Read the rest here: My submission to Stuff Nation. via My submission to Stuff Nation. What’s the big problem with charter schools? 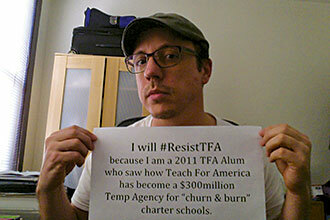 Is it really that bad to have a few charter schools? Can a handful really be a problem? Why not just let them be, and go fight other battles? Well, some days I do feel like giving up the ghost and letting government bring in more and more charters. Battling Goliath is sometimes more than a bit wearisome for a little David such as myself. But here’s why I fight on, and why you should, too. Because charter schools do not improve the education system – in fact some are the worse schools in the country. Charter schools take a disproportionate amount of funds from the education budget, like here for example. Charter schools lead to increased racial segregation. 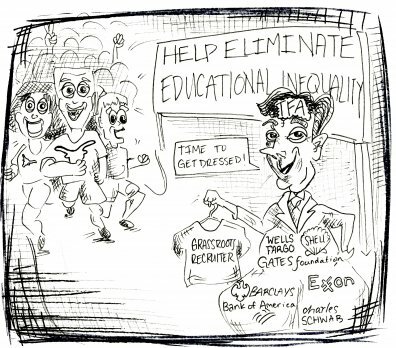 Charter schools are about privatisation of the education system, not about improvement. The trouble is, the whole charter movement starts small and relatively uncontroversial which means people are easily swayed by the promises of great schools and a better education for students, but before you know it, it descends into this and this and this and this and this and this … oh the list goes on. And who is behind all of these reforms? You should read How billionaire-funded ‘ed reform’ groups push charters, vouchers to learn just how rich fat cats buy up politicians’ votes and push through the reforms they want. They want you to think they are fighting for a better education system, but the truth of the matter is they can and do make a lot of money out of charterisation, and the public is being sold a line. And sold out. 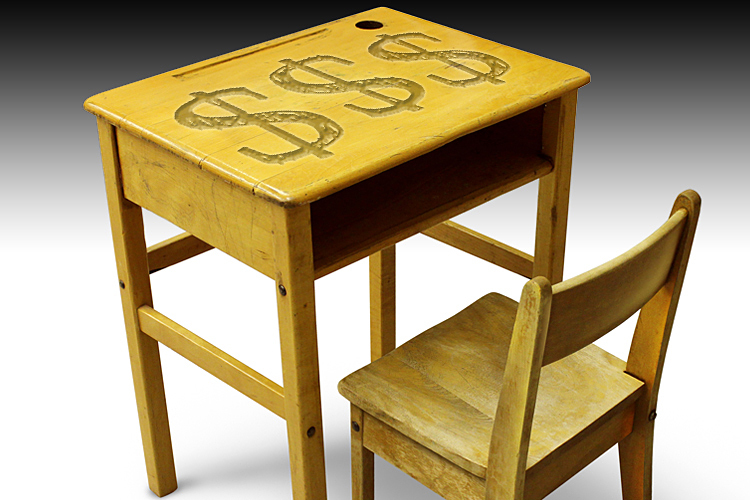 Education should not be about siphoning off the tax dollar to companies like Pearson and KIPP. Money is in short enough supply, and as much as possible should go to resources and good teachers, not for profits and administrators. Charters are not the way forward. 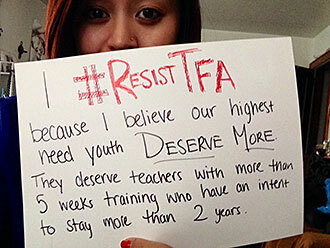 Our students deserve a hell of a lot better. “Massey University education experts warn that the charter school experiment may cause more harm than good to the students it aims to help. The Government announced New Zealand will trial charter schools with the first likely to be in South Auckland, Christchurch East and possibly Wellington. In response the Education Policy Response Group, consisting of 12 College of Education experts, conducted an in-depth examination of research studies from Sweden, the United Kingdom and the United States; countries with models on which New Zealand charter schools may be based. ter schools have the potential to cause harm to the very groups of students they are supposed to help,” he says. The report says while it is encouraging that the National-ACT proposal recognises the need to address educational underachievement through wider economic and social policies, the charter school proposal seems to persist with narrow assessments of individual student progress. This is very risky. Even if some charter schools do show gains for disadvantaged students, it is often achieved at the cost of further disadvantaging non-charter school students and the local community as a whole. “It is, for example, quite common for charter schools to lead to an increase in inequality based on culture, race or socio-economic status,” says Professor of Teacher Education, John O’Neill. Professor O’Neill says the group concluded that if New Zealand is to learn from this experiment the evaluation criteria must be closely defined and the evaluation study conducted independently of the supervising committee and the Ministry of Education. “To enable this to happen, it is important that transparent data be kept on the home background and prior achievement of students, the nature of the teachers employed and the financial arrangements for the charter schools (including private and corporate contributions),” he says.